To comply with regulatory and industry guidance, MicrobMonitor® Aqua™ is an effective way to monitor the Heterotrophic Plate Count (HPC) (also known as the Total Viable Count (TVC) or Aerobic Colony Count (ACC). 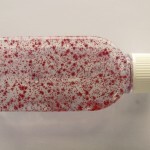 Anyone can easily use the kit, by adding a small amount of water to the bottle of specially formulated testing gel. The detection level of the test can be adjusted as appropriate for the compliance limit required. 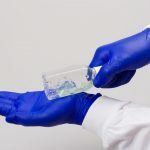 The test uses the same principles as standard laboratory HPC methods, and can detect very low levels of contamination (right down to 1 CFU/ml). As well as being easy to use, the test is safe – as it is fully contained, and does not selectively culture hazardous microorganisms. 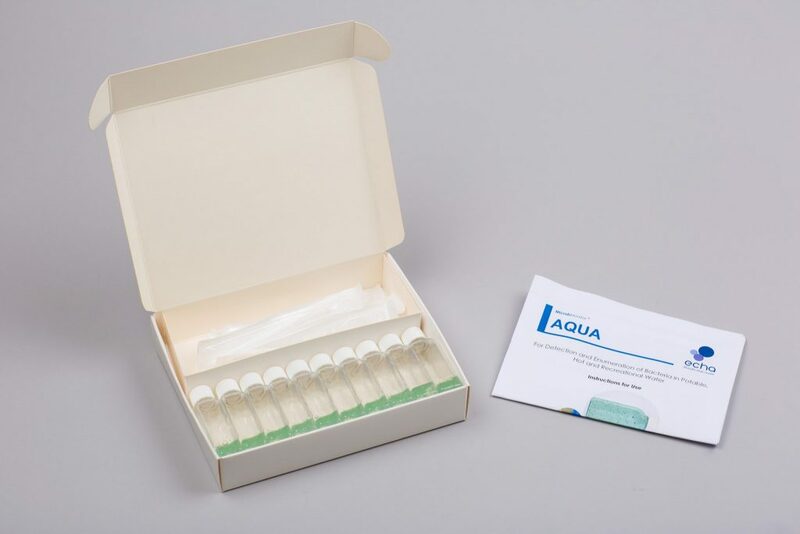 The MicrobMonitor AQUA test is a simple, easy to use test kit for quantitative detection of bacteria that can contaminate water. This is known as the Heterotrophic Plate Count (HPC), also called the Total Viable Count (TVC) or the Aerobic Colony Count (ACC). 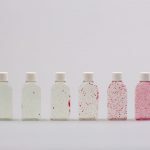 A small plastic bottle containing a thixotropic nutritive gel formulated specifically to bacteria associated with water. 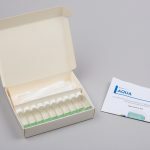 Sold in boxes of ten tests with sterile measuring devices for dispensing water samples into the test bottles. 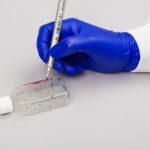 The MicrobMonitor AQUA test is a simple, novel and safe way of assessing the numbers of colony forming units (CFU) of bacteria in water samples. CFU is the standard unit for measuring numbers of microbes. 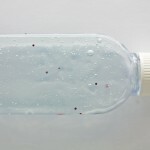 Why test for bacteria in water? Various regulatory and industry specific guidance specifies the use of HPC in monitoring water quality. 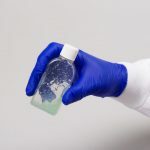 The number of bacteria present in a water sample, as indicated by the HPC, can provide an overall indication of the microbiological cleanliness of potable and recreational water systems. HPC can be used as an operational indicator of the effectiveness of water disinfection. HPC can also be used to determine trends. An increase in HPC during water distribution or with time indicates post treatment contamination or re-growth of microorganisms within the water distribution system due to insufficient residual disinfectant. A sudden increase in HPC above historical baseline values should trigger actions to investigate and if necessary remediate the situation, for example by hyperchlorination. Increases of HPC at 36 or 37 ?C can provide an early indication of contamination by bacteria which may potentially pose a health hazard. 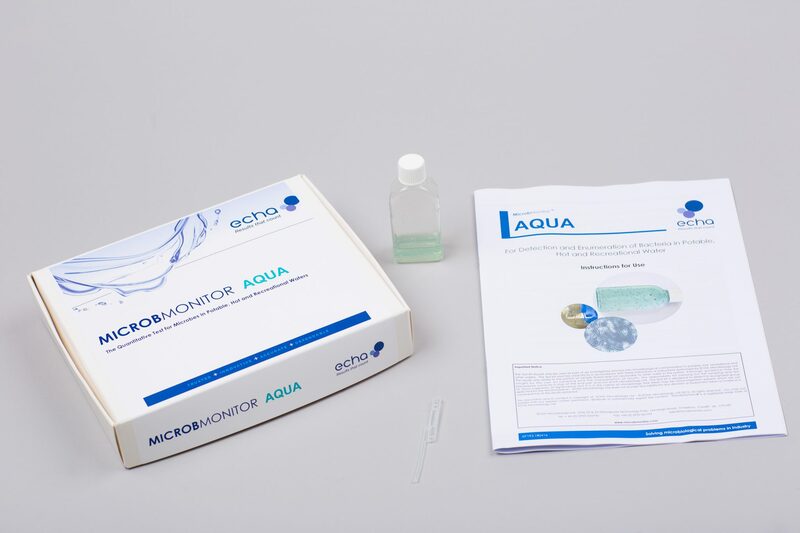 ANYONE – No special skills or equipment are needed to use the MicrobMonitor AQUA test. The routine testing frequency will depend on the sample type and location. Testing can form part of an overall water quality monitoring program or it may be part of an investigative operation. For advice on sampling frequency and investigations our consultants are available to assist you. All our test kits are supplied with our full product backup and after sales support. You can even send us pictures of results for extra help when interpreting results.